8 + 3 = ? : (Required) Please type in the correct answer to the math question. Spring is just around the corner, so if you're thinking about listing your home soon, you'll want to plan ahead. Many homes in the Brentwood, Tenn., area are selling quickly because there is such low inventory, but selling quickly is no guarantee if you and your home are not fully prepared to meet the expectations of eager buyers. Here are four keys that I believe you have to get right if you want to receive the best offers on your home. Even if real estate is moving quickly in your area, don't assume that you can overprice your home and get someone to pay your inflated price. You don't want to run off a potential buyer the first time they look up your home if you've mistakenly placed it in the wrong price range. Buyers are savvy. They know the general market value in the neighborhoods where they are looking. Banks are savvy too. They will never approve a loan on an overpriced home. Find a Realtor who will view comps in your area, and then work together with him or her to find the best, fair price that will bring in the offers. Click here for more thoughts on pricing from a previous post. As soon as you officially list your home, interested buyers need to know that it's available. The more people you have viewing your listing from different sources, the more people you will have contacting you and/or your agent for showings. It's important to diversify those listings and to put your best foot forward. 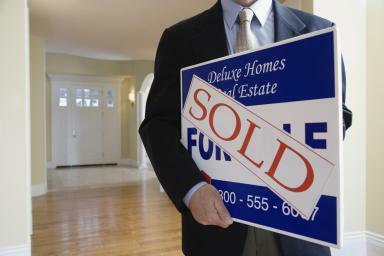 I talk more about how a Realtor "works the market" for you in this post. Most of the people viewing your listing will be doing so online, so it's imperative to make sure their first impression is a great one. The best way to do this is through high-quality pictures. Posting dark, random pictures from your phone will drive away the majority of your online viewers. They want to know what the house looks like before they see it in person, so make sure your home's features are highlighted well. I talk more about this in this previous post. Once you've hooked them online, you've got to keep them wowed once they pull into your driveway. When you have a showing, your home needs to look as though you are expecting an honored guest. Pick up the clutter. Eliminate odors. Help them see the beauty and charm of your home without them getting lost in your mess! Here are some more tips for avoiding buyer turnoffs. I know what buyers want to see and experience because I've walked this road with them time and time again over the years. Please allow me to help you get your home sold quickly!